elements and intuitive smart TV upgrades. spans four series—Q60, Q70, Q80 and Q90—that range from 43 to 82 inches. ranging from 65 to 98 inches. along with new Smart features in a variety of sizes. whites, delivering stunning images with pristine contrast. brightness, picture quality and sound optimized for each scene. Samsung Smart TVs in 190 countries worldwide. Search, to create a consistent experience across Samsung’s platform. viewing habits to offer customized recommendations about what to watch. their TVs and access their content through voice commands. are across the room from their remote. clear even during bright and dark scenes. Ambient Mode is also available on the Serif TV. a decorative or informational display when the TV is not in active use. like photos and works of art. 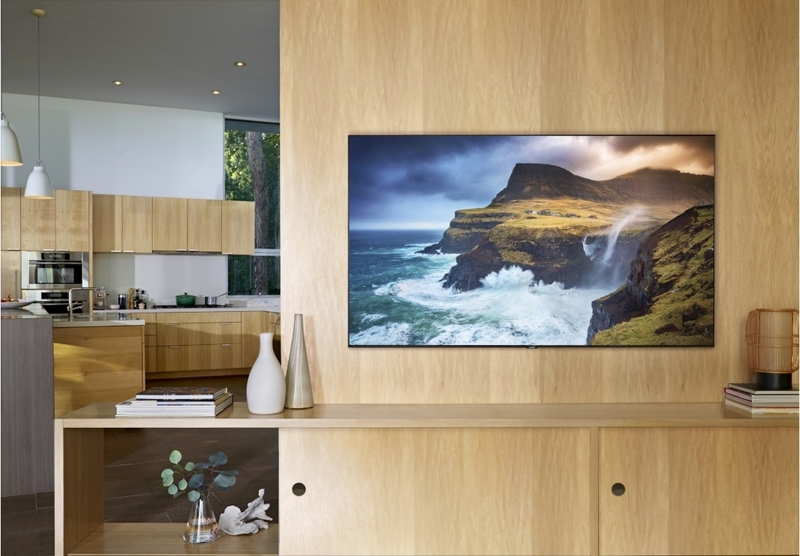 For more information about the 2019 QLED TV lineup, please visit www.samsung.com. mobile device (Android, iOS) is required for some functionality.